Unrepentant Scribbler: A brief squee, before I return to crockpot blogging! A brief squee, before I return to crockpot blogging! 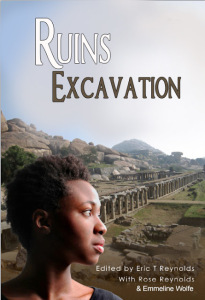 Publisher's Weekly mentions me by name in their review of Hadley Rille's new anthology, Ruins Excavation. A mixed review in general, but it was nice to not be ignored or vilified.